Chopping Block wanted the next version of the site to be a real departure from the rest. 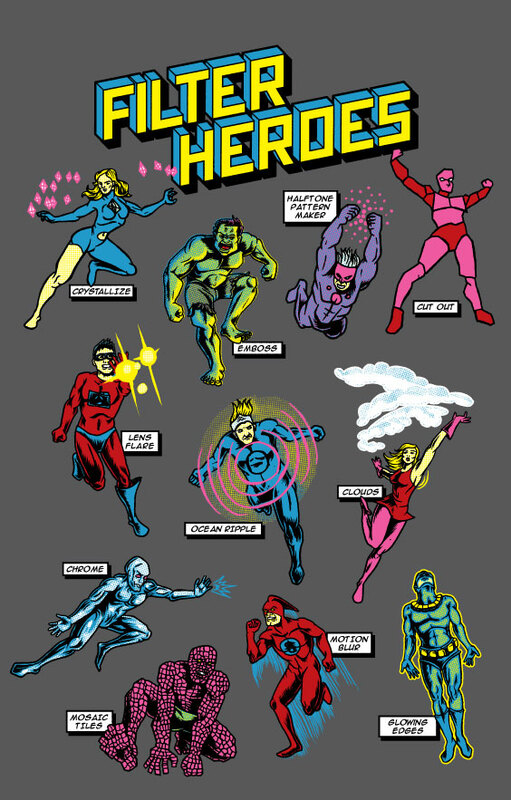 One of the early ideas was to do a comic-style version of the site featuring each of us as super-heroes. The concept got more exciting when one of us suggested that our super powers be based upon often abused Photo Shop filters like “Lens Flare”, “Ocean Ripple” or “Mosaic Tiles”. We even had our then intern, Amin Amat work out some initial sketches which sadly featured our Project Manager as a comic relief ape man. Even though that idea itself had us really laughing out-loud and scored at least a 9 on the nerd-factor scale… we bailed on the overall idea as comic style anything was just played out. Fast forward 10 short years later… The idea finally got bumped to the top of the Chop Shop to do queue when illustrator Joshua Kemble inquired about working with us on a new design. Kemble had recently scored a hit at Threadless with his “league of evil cliche super-villains” design and it seemed at last we have a great reason to finally get this idea out the door and into the world. Get the tee now and Let the filtering madness ensue. 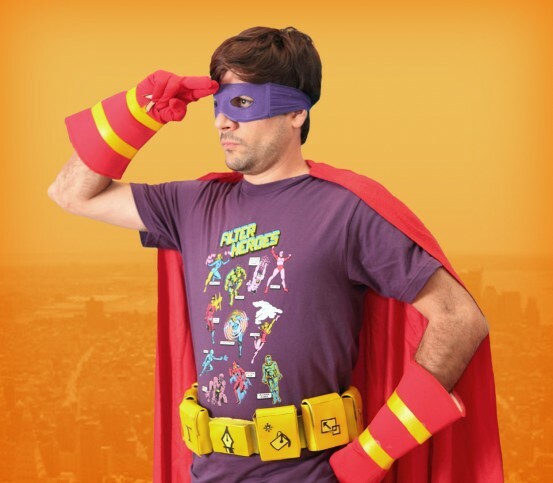 Forget the shirt, I want that utility belt! So I’m assuming that Biatrice now knows Leo’s secret identity. One of my favorite shirts of the year. Mixing 2 of my favorite things Superheroes and Graphic Design. The costume is awesome too. That’s what I want to be for Halloween.